Over the years Play.com has grown from a website that originally only sold region 1 and 2 DVDs to one of the biggest online retailers in the UK market. 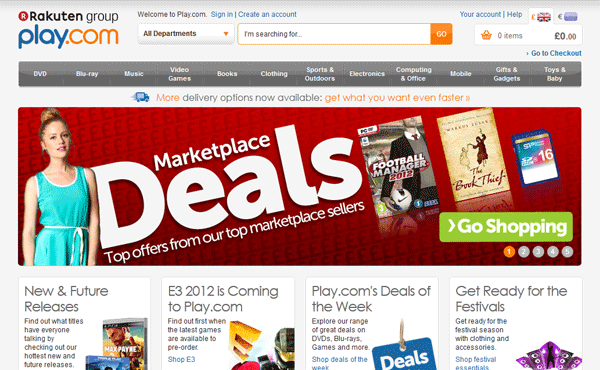 Since being founded in 1998, Play.com has expanded to sell not only DVDs, CDs and books for which it is most commonly known, but also clothing, accessories and toys. So, what do you get with a Play.com integration?